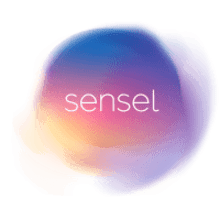 Sensel launched its technology knowing that creative people need to be close to their art. The highly sensitive Morph gives musicians, illustrators, painters, and other creative people the touch they need in a simple, mobile product. It takes more than one tool to make a song, tell a story, and express a feeling. These tools are usually bulky, take a lot of power, and don’t capture the full range of human touch. The Sensel Morph puts all those tools into one mobile, versatile package. Easily swap between wireless keyboard, making a melody, or cutting up your video. The Morph puts creative power in your hands where you need it when you want it. Sensel will ship with tracking to the listed regions. No returns will be accepted without prior authorization and a valid Return Merchandise Authorization (RMA) number. If you wish to start your return process, you can email support@sensel.com including your order number.